Panasonic posted images and specs of its soon-to-be-released G2 and G10 Micro Four Thirds cameras on its official website for several hours before pulling them off entirely. Whether it is accidental or meant to tease, we can never know. But what we do know is that both cameras are said to feature a 12.1-megapixel sensor, touchscreen display with touch shutter and touch MF Assist, and ISO 100 to 6,200 sensitivity. 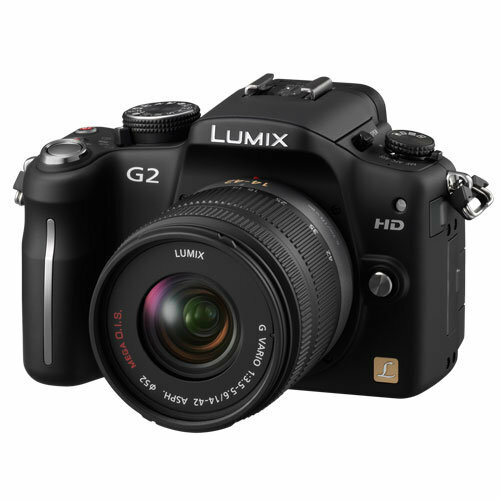 The difference between the two is that the G2 (pictured) has a one-touch AVCHD Lite movie mode (takes video clips at 1,280 x 720 resolution) and a three-inch articulating display. Meanwhile, the G10 has a “double live view” (providing preview from both LCD and view finder. The specs should not, however, be considered as gospel truth. Let’s just say that the cameras, for now, are works in progress. We will have to wait until at least March 7 to know the real score about the two new cameras from Panasonic.